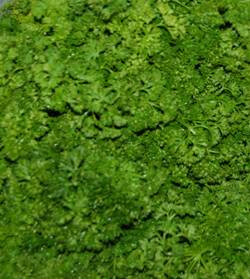 Curly Parsley: Curly, fringed leaves, a natural breath freshener, parsley nicely adorns any dish. Keep wet or store in an air-tight bag. 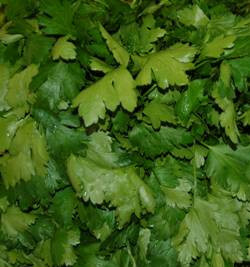 Italian Parsley: Look for notable flat leaves which distinguishes it as Italian Parsley. Italian Parsley is a Mediterranean favorite that is delicious in soup, vegetables, meats and as garnish. Remember to keep wet or in a air-tight bag.